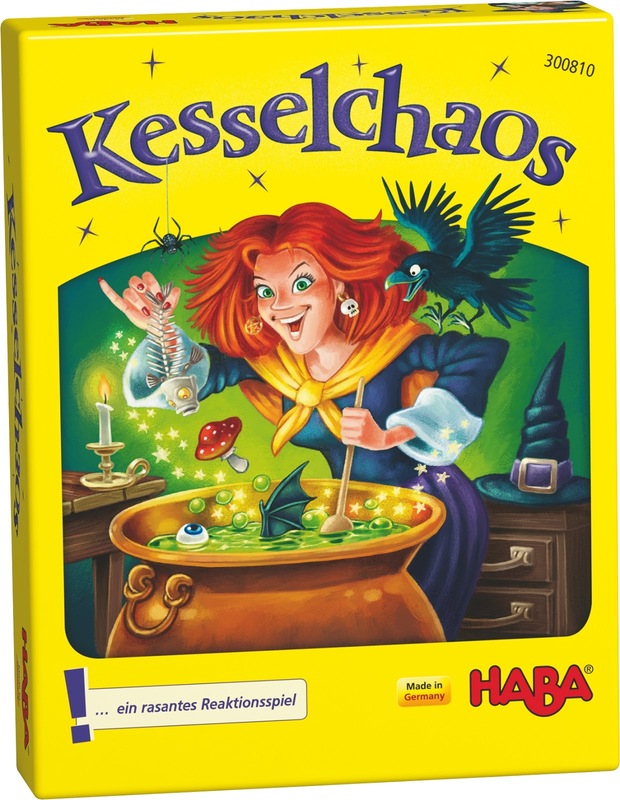 Besides Jolly Roger from Ares and Termity from Rebel.pl, Haba has launched Kesselchaos (German) or Cauldron Chaos (English). In this small card game, the young witches try to collect as fast as possible the right ingredients for a delicious soup. Gameplay is simultanously and that's the reason why it's rather chaotic. A quick reaction game for all players, young and old. 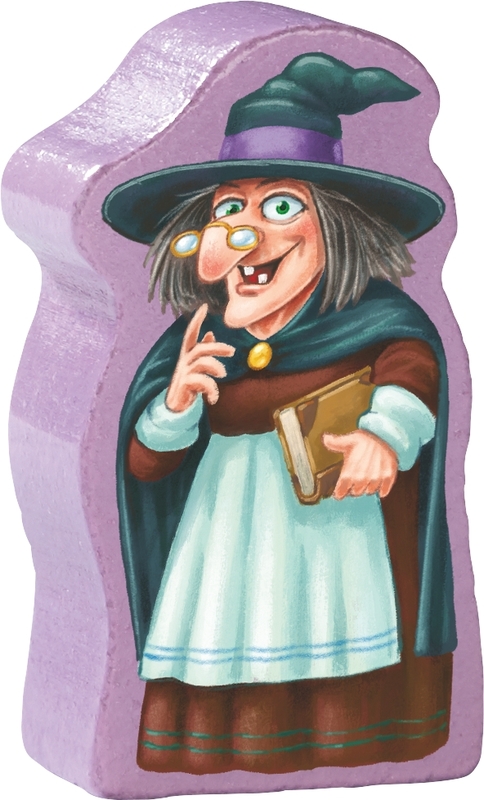 The new game, Termites, will be released by the Polish publisher Rebel.pl for the Essen Spiel fair in 2015. If you are curious about the “making of”, read the following lines. Besides, it gives you some info on how I design games. In September 2009, I was still looking for a new game concept to present at the Essen Spiel Fair in October. As usually, I’m the most creative when there is some time pressure. The short delay to imagine a brand new game concept is always a real challenge and that gives my inspiration a great boost. The first step for me is finding a suitable theme. I’ve always been a fan of wargames and I have imagined a few. Unfortunately, the market for this kind of games is rather small and I never managed to put any of these games on the market. Besides, I’m less interested in the historical component of wargames than in a nice game mechanic. So, my games are rather simple and fun than complex and historically accurate. This time, the challenge that I imposed to me was to imagine a “wargame” which doesn’t look like a “wargame”. To start, I checked a few possible themes and I came up with a game about ants. A quick look on Board Game Geek learned me that the number of games on these insects is rather few. So, that was a good starting point. After some research, I found out that termites would be a perfect match. The insects are very well organized. They have different classes, each with their own task and special ability. Above this, they build impressive mounds and are constantly on war. So, I found an original theme. Now, I had to find a game mechanic. At that time, I knew that the game Batt’l Kha’os, which I designed together with Eric Hanuise, was going to be launched in a few weeks. Although I liked that game a lot, it’s in fact a static tile-placing two-player game. This time, I was planning to make a more dynamic game for two to four-players. The goal of the new game could be very similar: control some central spots, towers in the case of “Batt’l Kha’os”, termite mounds in the case of Termity. Defining a clear goal for a game is very important. It helps focusing all rules around one central objective. In contrary to “Batt’l Kha’os”, I wouldn’t use tiles to form a board, but a classic game-board with hexes. Using hexes is very common in wargames and visually more appealing than squares, which is too much chess-like in my opinion. The board of the prototype was originally rectangular, but the publisher proposed to use a hexagonal form which avoids that players could play in their corner. A nice improvement. To make the board tactically interesting, it was necessary to add some different terrain types. Keeping in mind the target player group which I’ve chosen, I wanted to keep it simple. Therefore, I limited the terrain to 3 special types: boulders, lakes and trees. From the game “Go”, probably the best strategy game ever imagined, I used the brilliant (and simple) mechanism of adding each turn one piece on the board. Instead of adding identical pieces, I chose to create much variety among the pieces: the infantry would be represented by workers, the elite troops by warriors, the cavalry by alates and the archers by Nasutes. Each termite type would get one special ability, which would reflect their strength and use in combat. Limiting it to one ability per type, makes it easy to remember for players and keeps the rules simple. After placing a piece, the idea was to allow one movement. Although most of the wargames allow multiple moves, the problem is always to remember which units have already moved and which not. Besides, as I was designing a multiple-player game, it’s very important that a game turn remains short and fast. In the same idea, I would limit combat to one single attack. All these restrictions force players to think twice which piece to move and which attack to make. To avoid using dice and to make the game more tactical, combat would be resolved by determining majorities. To win, the attacker would simply need more points than the defender. Finally, to make the combat less lethal, a success attack would result in a retreat. Only, when the retreat is blocked, a termite piece would be eliminated. Each piece would have a certain value, which should be very visible on each counter. Therefore, I opted for the simplest solution to give each individual small termite one point. Warriors which are a little bigger, would get 2 points each. For the individual mounds, I had to use another system. Printing the value on the counter appeared to be the most convenient solution. Quickly, I noticed that using flat game pieces and flat mound pieces would give a visually rather flat game. Therefore, I skipped the mound counters and replaced them by pyramidal shaped mounds. Like you can notice, the core rules were imagined by making a choice among a vast number of options to solve problems which emerged during the design process. In fact, this is where game design is about: making choices and hoping to make the right ones. The next and most important step in designing a game is the playtesting phase. This is a little bit the moment of truth. Your game can look fantastic in your head and on paper, but if players don’t like it, you have to start it all over. During the years, I’ve developed a simple feedback system which works very well for me: I take notes during each playtest on a pre-printed feedback form. This allows me to compare different rule changes and its effect on the game experience. More important, I keep a written record of each playtest which is very useful when I want to improve an old concept after several years. Playtesting proceeds a little bit in a trial-and error way. I change a few rules and check it’s effect. Then, I make a few other changes and test it again. In the meantime, I try to gather as many suggestions as possible and check if they improve the game or not. This process can continue very long, but mostly after some time the number of improvements and suggestions start to decrease. At that moment, you know as a designer that your game is finished and ready to present to publishers. In the case of Termity, I’ve performed a lot of playtests in a very short time. The bulk of improvements were ready for Essen, as planned, and I could show it to the publishers. For each game you need to find the right publisher and this quest can be long and frustrating. There are some many new concepts which are conceived by other designers, amateurs as well as professionals, that you need some luck before reaching your goal. Regarding my own success ratio, I’ve figured out that from 5 new game concepts I manage to sell only one. So, my expectations are always a little tempered when imagining a new game concept. In the case of Termites, I had to be patient for several years (4 years to be precise). By chance, I get into contact with the Polish publisher Rebel.pl on the Essen Fair of 2013. In fact, we were both waiting for an appointment in front of another publisher and I got the opportunity to present myself, exchange business cards and to fix a meeting for the next day. 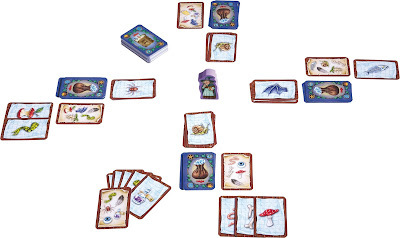 The publisher was interested in several new concepts, but Termites in particular caught their attention. After playtesting it in Poland, they informed me in January 2014 that they would like to get the license to publish the game. Nevertheless, it took nearly two extra years before the project could be planned in the publication schedule of Rebel.pl. A funny anecdote is that the publisher first wanted to change the theme to caveman wars, then to WW II and finally decided to keep the original Termite theme as it offered the best match with the game mechanic. This is the final step for a new game. Unfortunately, my task is nearly finished and now, it will mainly depend from you, as a customer, if you like the game or not. The more people who like the game, the easier the game will become a success. Thanks for reading these notes.